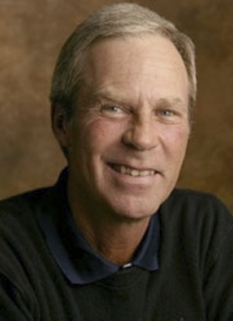 American golfer, Larry Mize, was born on September 23, 1958 in Augusta, Georgia. 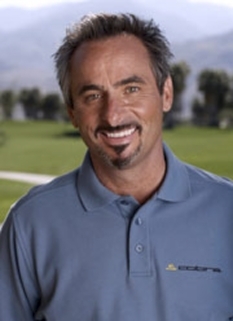 Despite a creditable career on the PGA Tour he is mainly known for just one shot - the chip from off the green at #11 - which secured his only major title, the 1987 Masters. 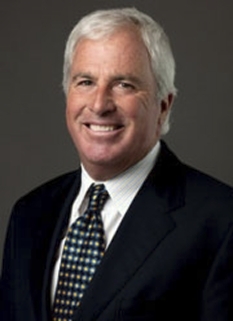 He attended Georgia Tech and turned professional in 1980. 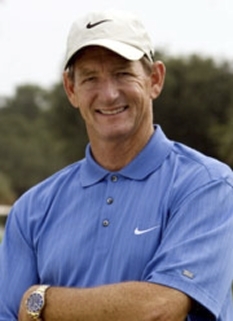 He finished in the top 125 on the money list (the level needed to retain membership of the tour) for 20 seasons from 1982 to 2001. 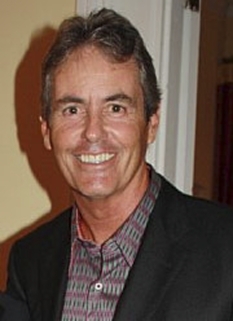 His first PGA Tour win was the 1983 Danny Thomas Memphis Classic. 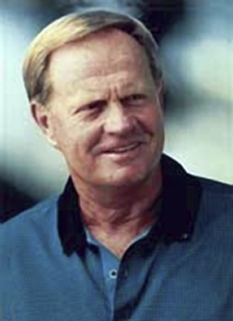 At the 1987 Masters, Larry Mize was tied with Seve Ballesteros and Greg Norman after four rounds. Ballesteros was eliminated in the first hole of the playoff. On the second playoff hole, which was Augusta's eleventh, a par four, Mize's second shot landed well off the putting green. Many people assumed that Norman was about to win, but Mize chipped in for a birdie with a sand wedge from around 140 feet and danced across the green to celebrate victory. 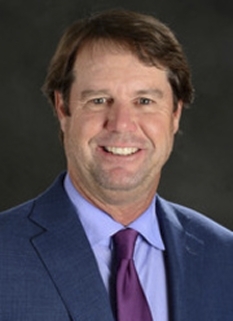 Mize's win was especially appreciated because he is an Augusta native and had worked on the scoreboard at Augusta National's third hole as a teenager. His Masters win and a tie for fourth at the U.S. Open in June briefly put him in the top-10 of the Official World Golf Rankings. DISCLAIMER: PFP Sports Talent Agency does not claim to represent itself as the exclusive agent for Larry Mize. PFP Sports Talent Agency is a booking agency that represents organizations seeking to hire pro athletes and sports personalities such as Larry Mize for speaking engagements, personal appearances, product endorsements and corporate entertainment. Fees on this website are estimates and are intended only as a guideline. Exact fees are determined by a number of factors, including the location of event, the talent’s schedule, requested duties and supply and demand. PFP Sports Talent Agency makes no guarantees to the accuracy of information found on this website and does not warrant that any information or representations contained on this website will be accurate or free from errors. We are often asked how can I find out who is Larry Mize's agent? 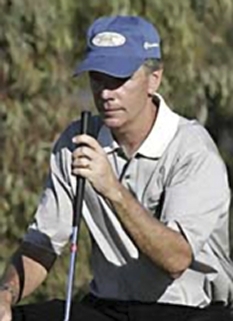 To find Larry Mize appearance fees and booking agent details, you can contact the agent, representative or manager through PFP Sports Talent Agency for speaking fee costs and availability. PFP Sports Talent Agency can help your company choose the ideal sports personality for your next marketing campaign. To hire Larry Mize for an appearance, speaking event or endorsement, contact Larry Mize's booking agent for more information.